Benjamin Tang's Anthropomorphic Art Page! I'm a member of the FurRing! Hi! I'm Benjamin Tang and I'm a furry artist. I started drawing in October 1997, and I haven't stopped since! Here's my collection. I have no adult stuff yet, so I'm still squeeky clean! I keep drawing new pictures and I recently posted a few backlogged ones together with stuff I recently drew. Check once in a while for new posts! My archive is currently divided into 4 pages for faster loading. A vixen is capturing the beauty of her garden at dawn. 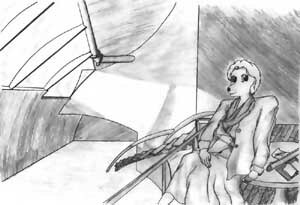 She sits by the vine arbour, with sketching block in hand. A picture with a very serene feel. I imagine the setting to be in the 1930s, England. Nice gardens they have there. 11th January 1998. Dedicated to Linda Maschmann. Enchanted by the beauty of the moon, she wades into the river and hails the moon with upraised hands. Behold the glory of the night. 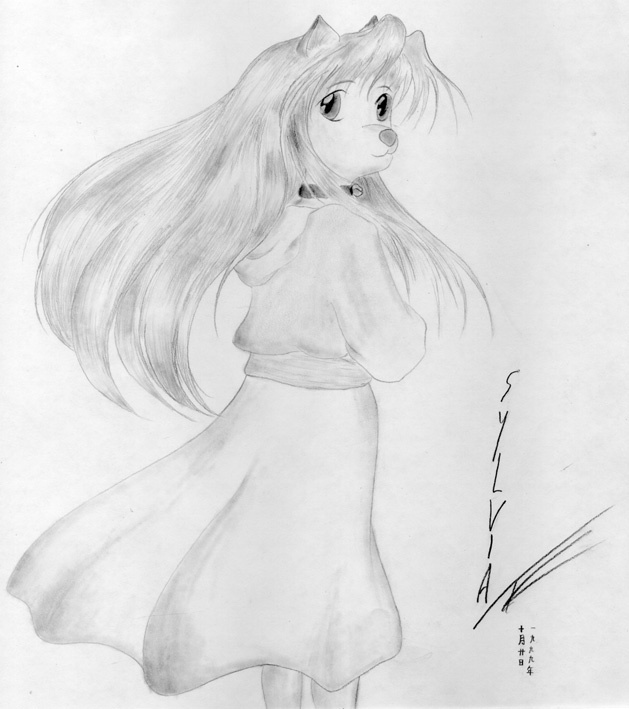 Sylvia. My first Commission. 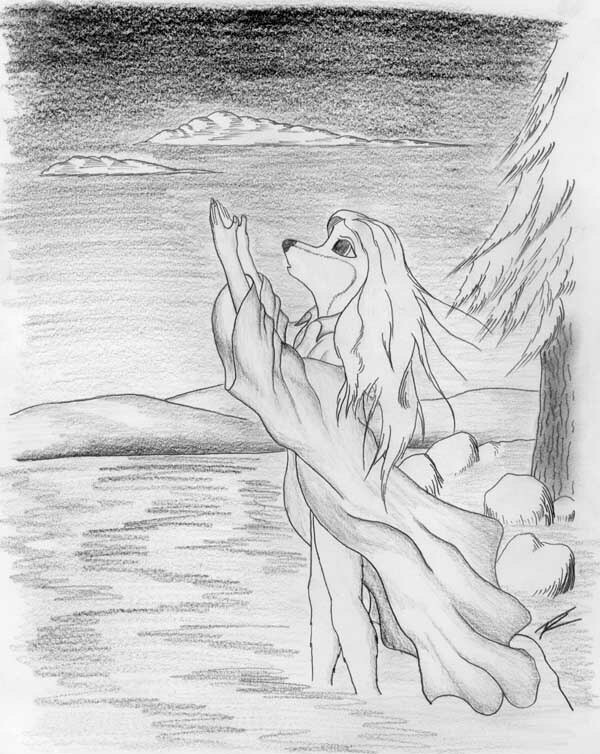 Although I didn't get the chance to add a back ground in before I mailed off the picture, I imagine her standing at the edge of a cliff overlooking the sea in England. Grace. I tought I had left this picture back in Singapore. Fortunately I had a scanned copy backed up. She looks into the distance, gazing across the tranquil moonlit river. Vixen perched upon a balcony admiring the scenic beauty of the country. 11th April 1998. Little foxy look out into the beautiful countryside beyond as she stands in a garden hilltop garden overlooking the sea. A sketch of the Parthenon. Furry Architect. I don't know... I think there are few furs who draw their characters in workplace settings. 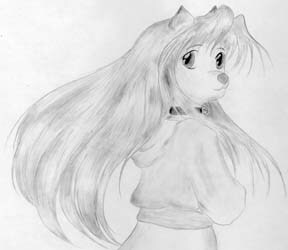 A Lineart sketch of a furry I called Amy. Ink on paper, animaeish style. 8th March 98. Castle by the Rhine. The German countryside in the renaissance. Calm and serene, a girl watches the moon rise over the hills. Violinist (ink sketch, photoshop colouring) Lost in the beauty of the music. Inspired by Dvorak's Romance for Violin and orchestra in F minor. There's More on Page 2 and 3 ! 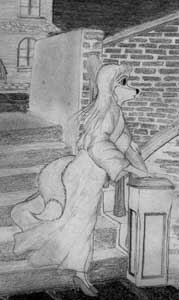 To see my other collection at a Furry Art Archive, go to Yiffco! This FurRing site is owned by Argentus - Benjamin Tang . visitors have been around my den!